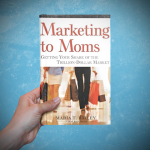 Award-winning author and MomTalk Radio host Maria Bailey knows just how much moms can impact a brand’s success or failure. In honor of Mother’s Day, we asked Bailey the differences between the demographics of moms, why food brands and retailers should pay attention to each group’s purchasing habits, and how industry players can better reach and resonate with them in the future. Just as parenting is a capital and labor intensive endeavor, so too is raising a brand — especially one experiencing a growth spurt. 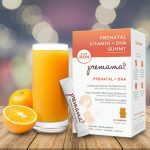 Last week prenatal nutrition company Premama announced the official close of a $3.25 million Series B round in March of 2017. In total, the brand has raised $4.65 million over the last 18 months. The Series B round was led River Hollow Partners, while Series A lead investor Cherrystone Angel Group also took part. Starting a company is a bit like having a child. Months of gestation, a lot of painful tooth-gnashing to get it out into the world, and then nights of sleeplessness hoping you’re doing everything right. Milkmakers and Anchor Bar Two (two brands that are still in their youth, and coincidentally catering largely to the mommy market) recently announced that they’ve moved on to the next phase of their development via acquisition.